Thanksgiving is next week! 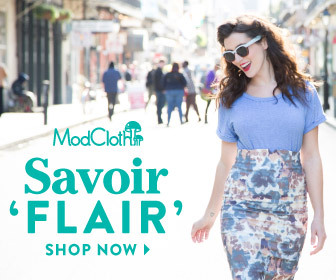 Say what?! I couldn’t tell you where the time went, but I’m also not complaining about it. I absolutely love this time of year! The festivities, decorations, food...even my crazy family. It’s true. The weather finally cooled down and I couldn’t be happier sitting here in a cozy sweater and fuzzy socks, wrapped up in a blanket. The kitties have been especially snuggly too. It’s wonderful. As turkey day draws near, it’s time to finalize your table. 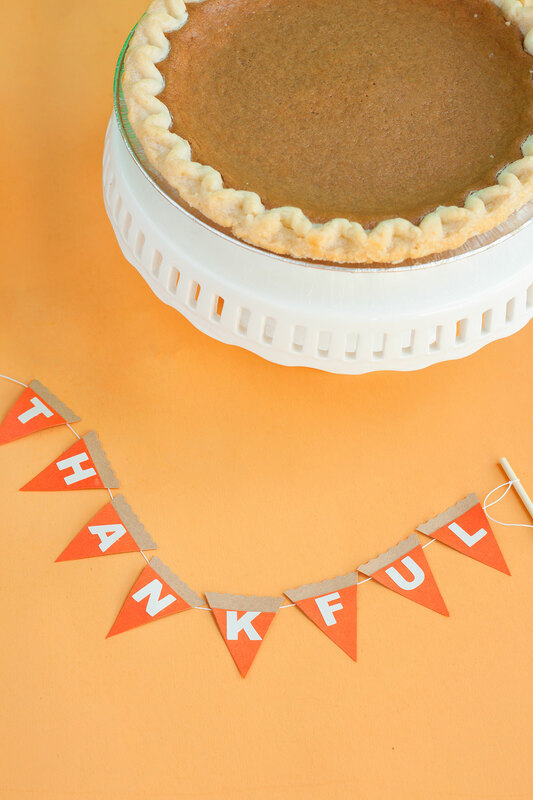 Get that tablecloth ironed, figure out what centerpieces to use, dust of the stemware...But perhaps the most important preparation to do this week is is this- figure out what will top that famous pumpkin pie! What? 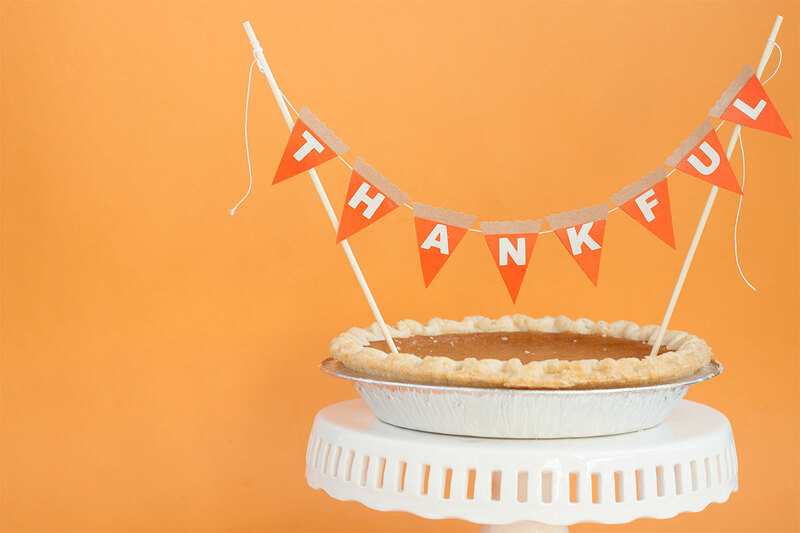 You’ve never made a Thanksgiving pie topper before? Don’t worry! I’m here to help. Why not top a pie, with pie!? 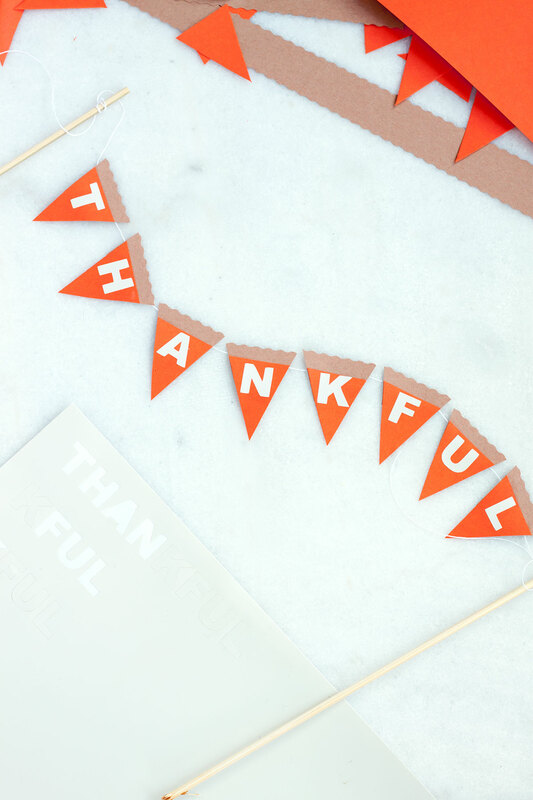 This DIY pie slice thankful banner is easy to make and sure to be the perfect finishing touch to your thanksgiving table. Dig in! 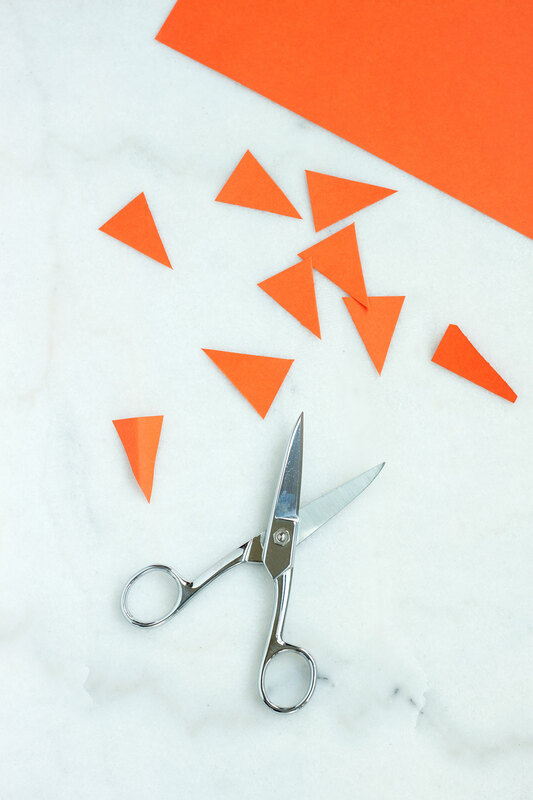 Cut out 8 equal size triangles from the orange paper. 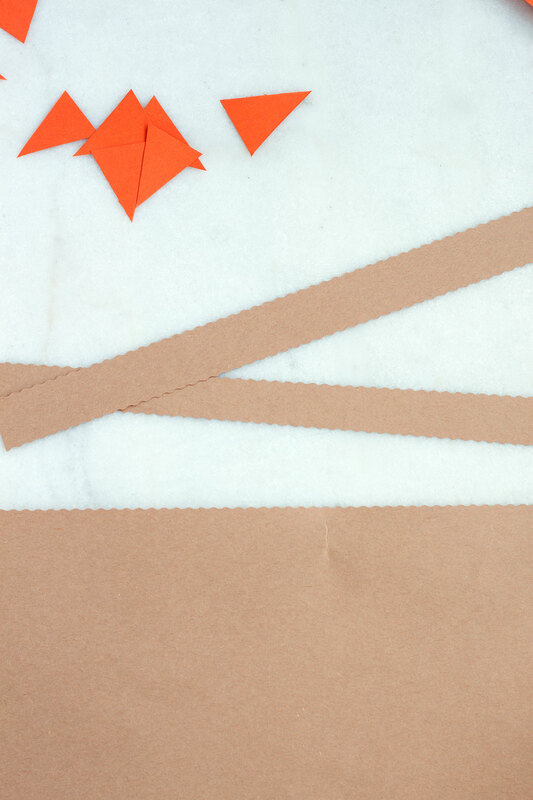 Using the scallop edge scissors, cut out a long strip of brown paper. 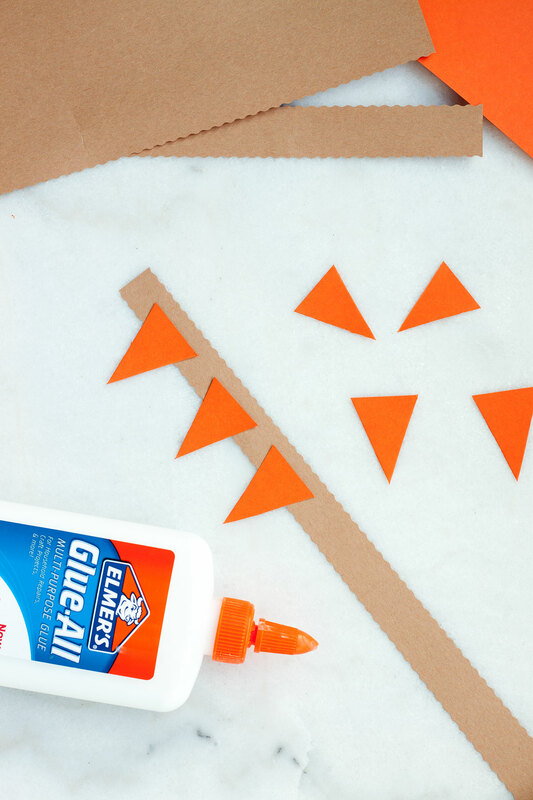 Glue triangles onto strip ¼” from edge. Let dry. Trim edges so each triangle resembles a pie slice. 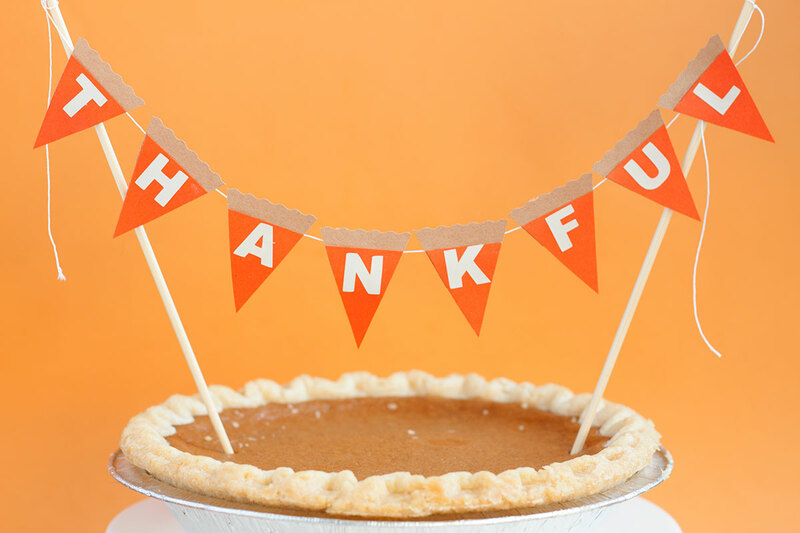 Stick “Thankful” letter stickers onto pie slices. 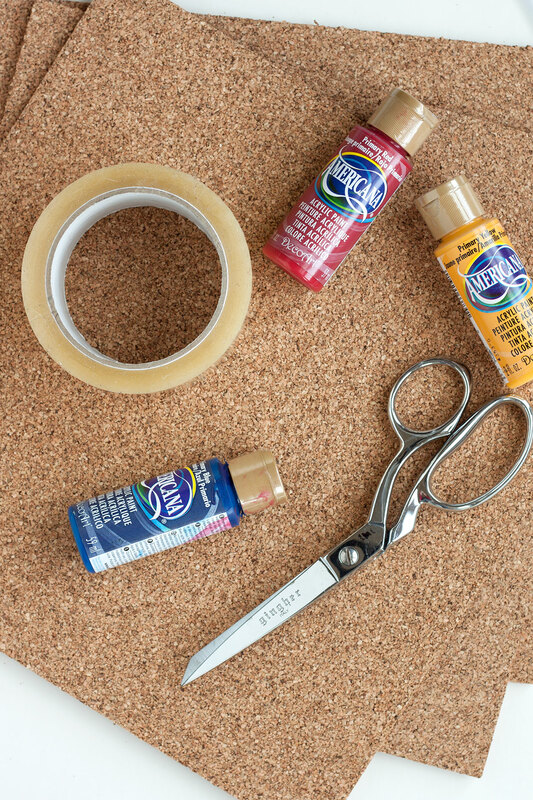 Tape banner pieces to string. 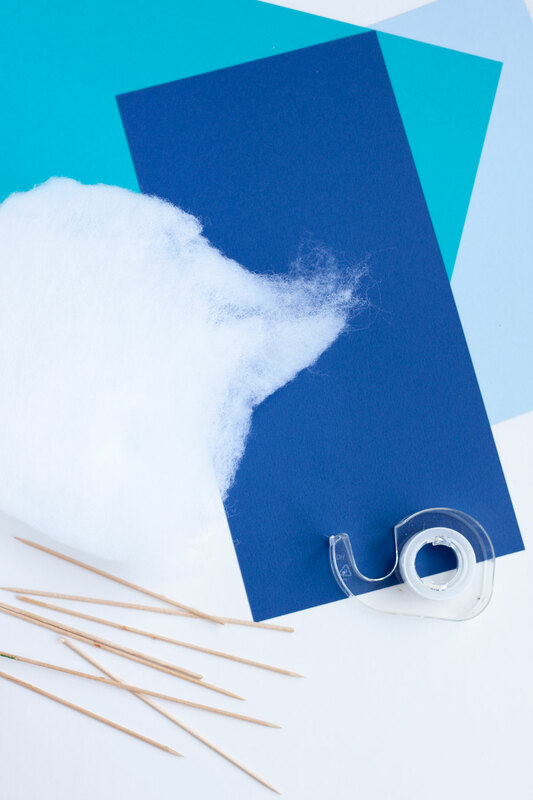 Tie each banner edge to a bbq skewer. 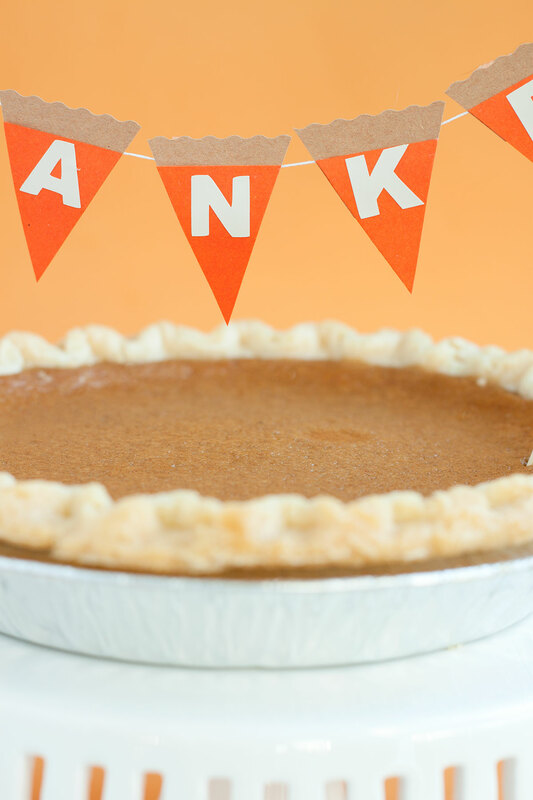 Top pumpkin pie and enjoy! 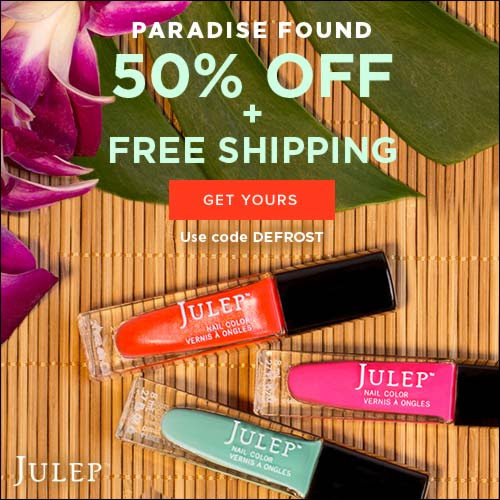 Need a vacation? Well then I’m about to make you one happy camper! 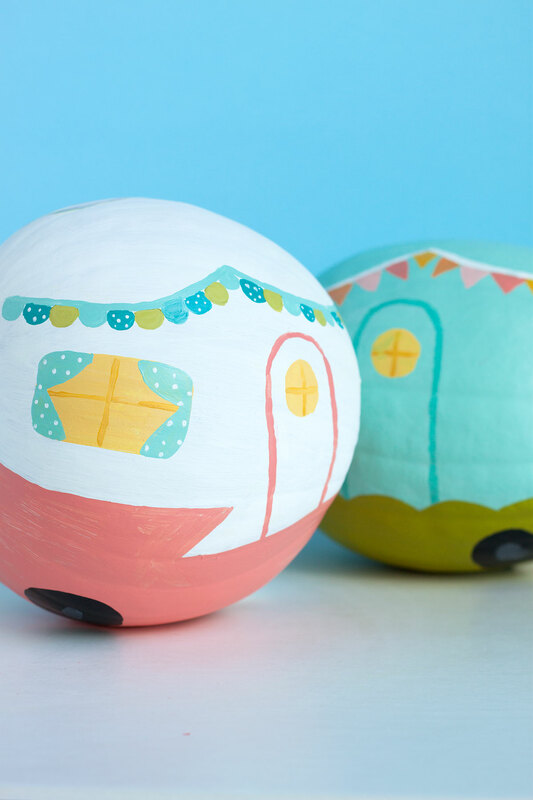 Introducing DIY vintage trailer pumpkins. 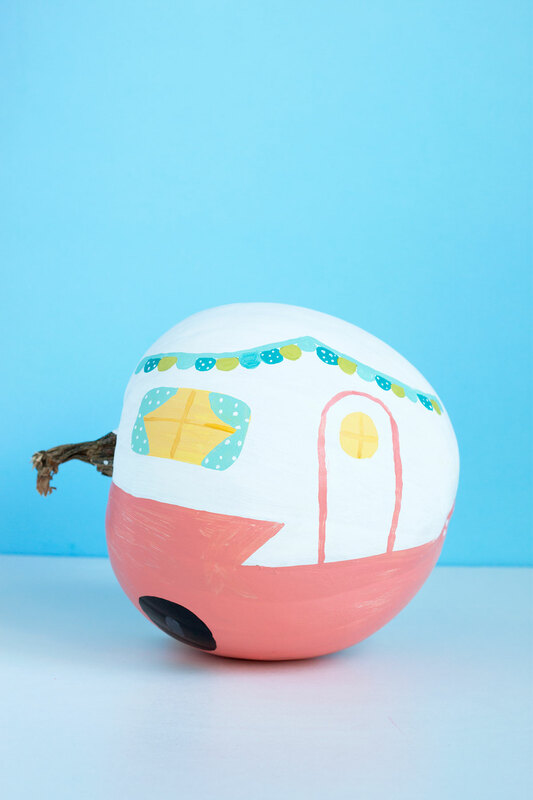 I’ve always loved the look of old campers- the fun colors, shapes and styles. 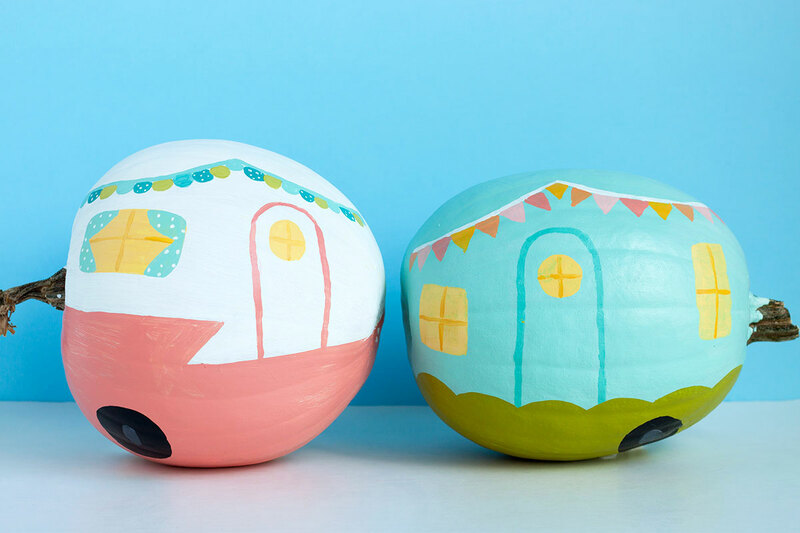 So I decided to put these slightly lopsided pumpkins to good use. I’m sure the checkout lady questioned my pumpkin choices, but was also thrilled I took the awkward lot off her hands. These cuties really take me back to all the fun times we had on the road a few months ago. 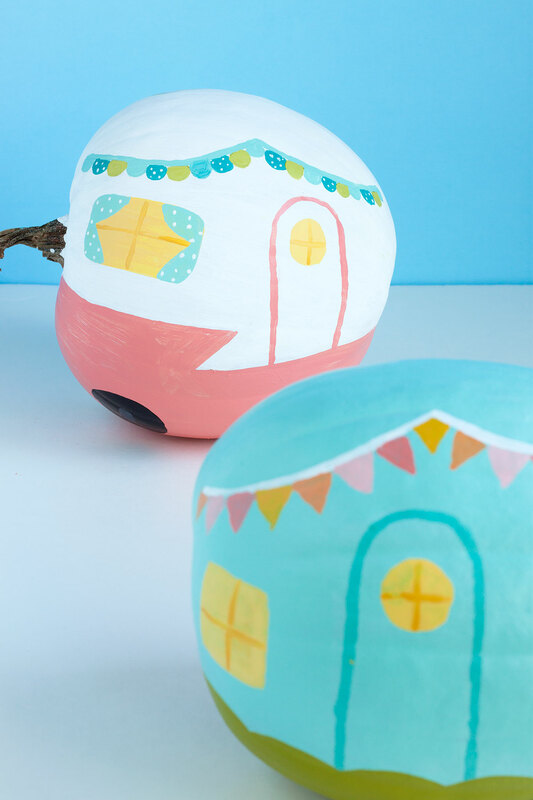 So even when you’re stuck at home, work or school... the right pumpkin can transport you to a better place! Good morning friends! Hope your week is off to a great start. I’m still having some trouble focusing. 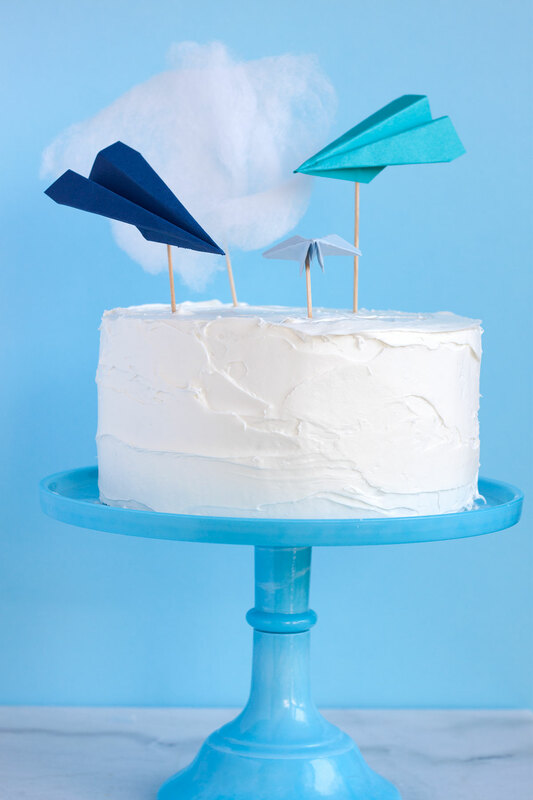 Seems my head is up in the clouds... dreaming of weddings! Can ya blame me? 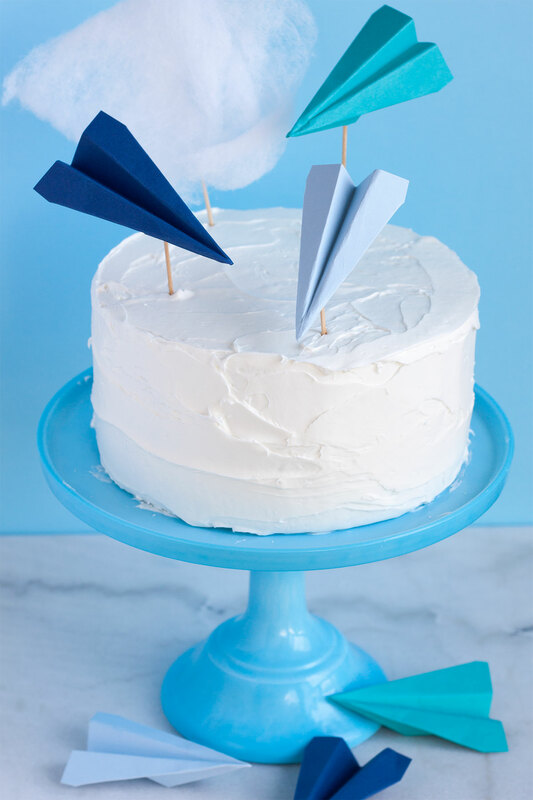 So, in the spirit of goofing off, I decided to put together a little paper airplane cake topper. 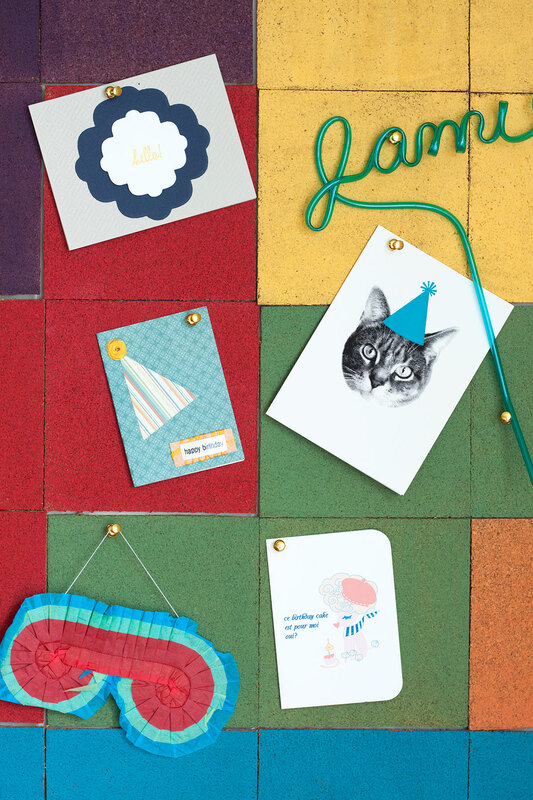 For this project I got to test out JAM Paper products. 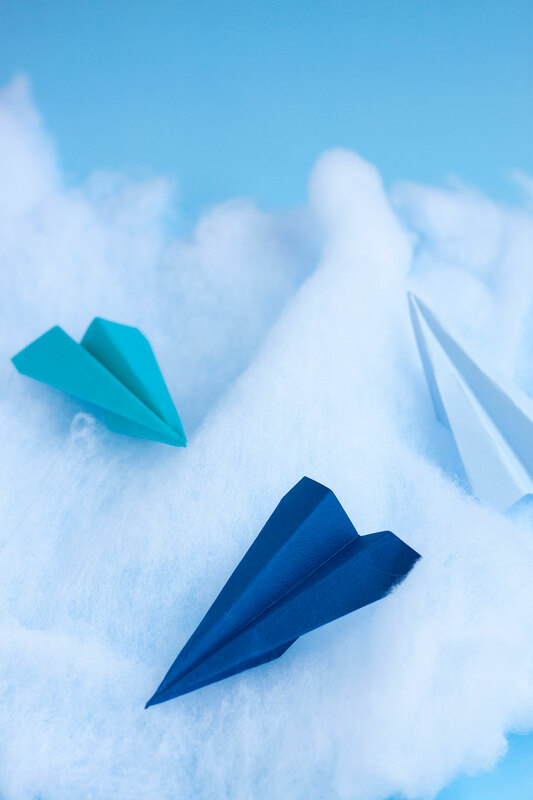 I love how the paper gives off a subtle shine and the heavier weight made for some durable paper airplanes. One nose dive won’t stop these bad boys! 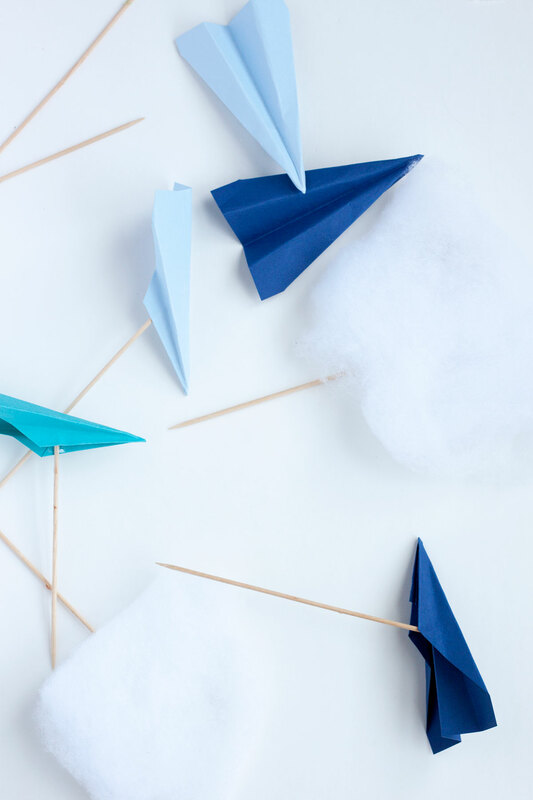 So, if you’re like me and in need of some daydreaming, jet-setting or good old fashioned fun, then grab a piece of paper and meet me in the clouds! Gather materials. Cut paper into 4”x 3” pieces. 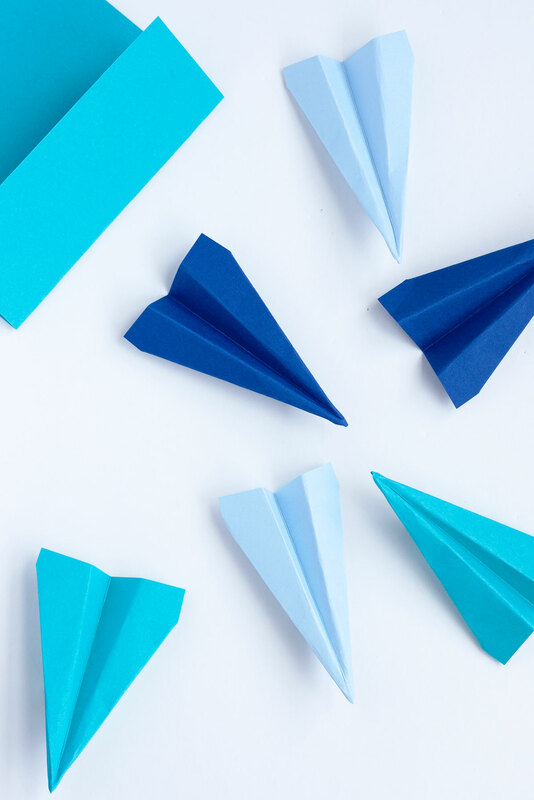 Fold your favorite paper airplane. Repeat until you have 3-4 airplanes of different colors. You can also make them different sizes to add diversity. 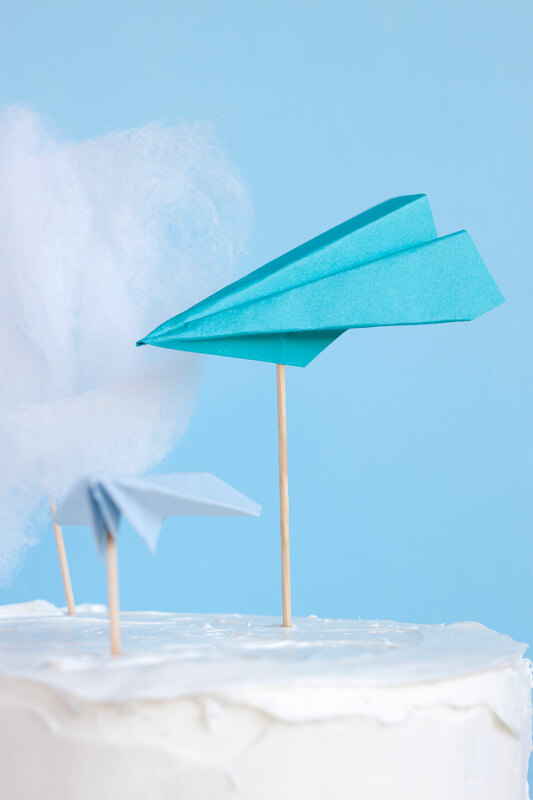 Attach airplanes to bbq skewers, at varying angles, using tape. 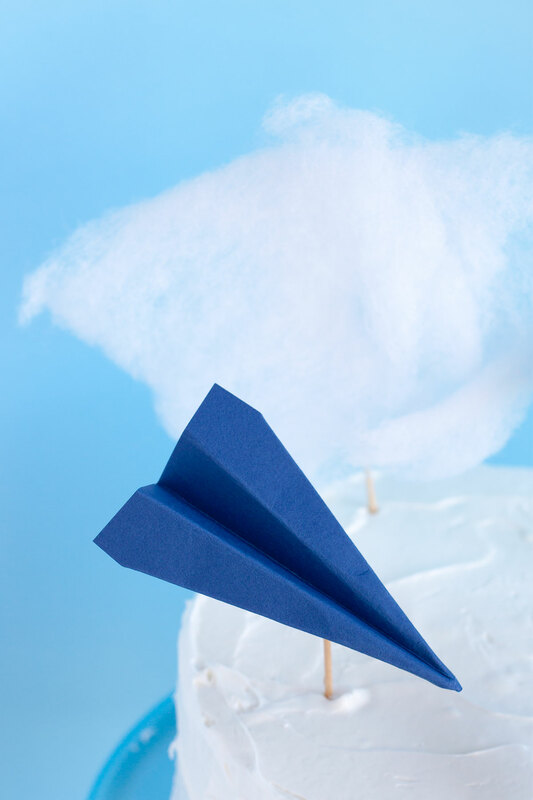 Create a cloud out of batting and tape to a bbq skewer. Top cake. Enjoy! Avocados are one of my favorite foods. I put ‘em on just about everything- toast, sammies, wraps. I’ll sometimes even cut one open and eat it with a spoon. Is that weird? 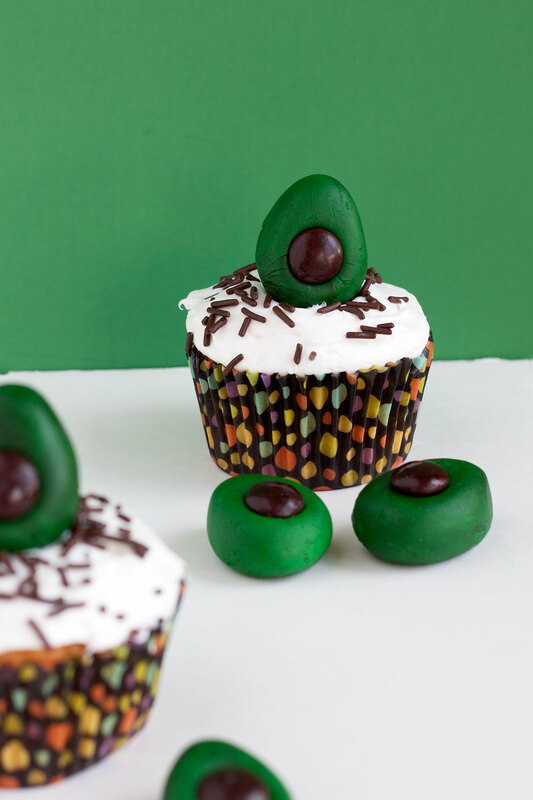 Not only are avocados tasty, they’re super cute too! 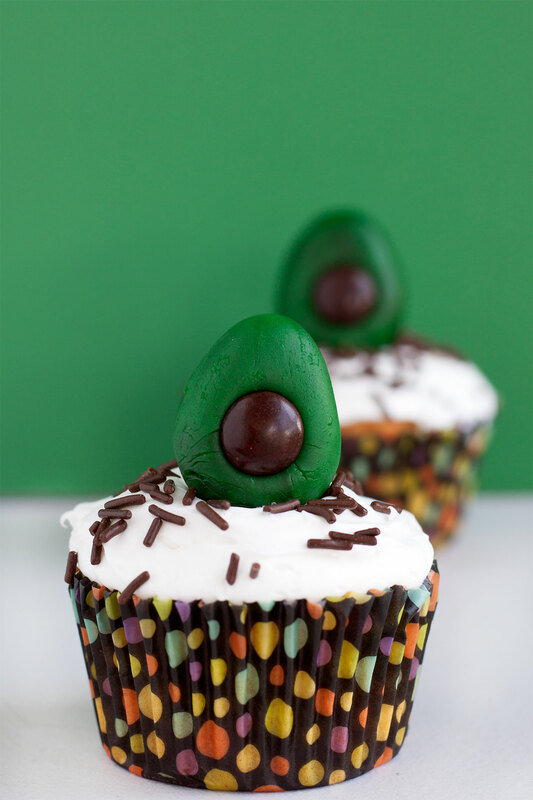 In case you didn’t get the memo, avocado are in. So I decided to put my fave snack onto something new, a cupcake! 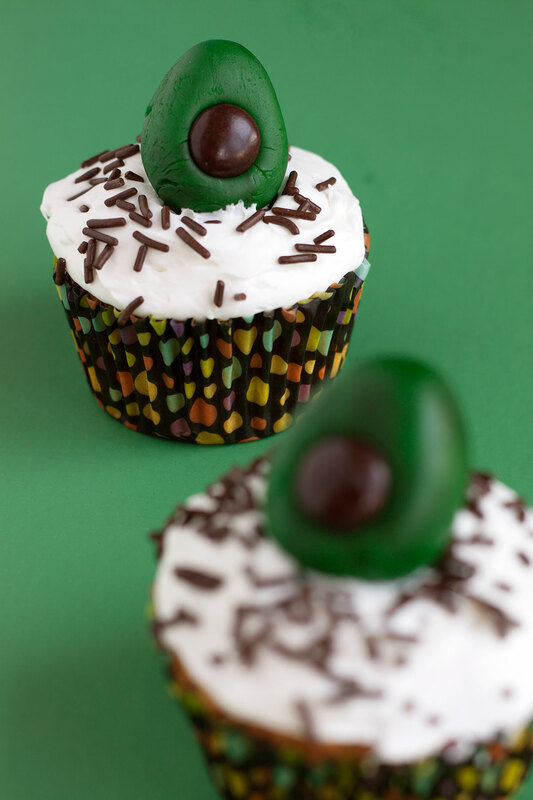 Ok, I didn’t put real avocados onto these cupcakes...though avocado desserts are totally a thing. 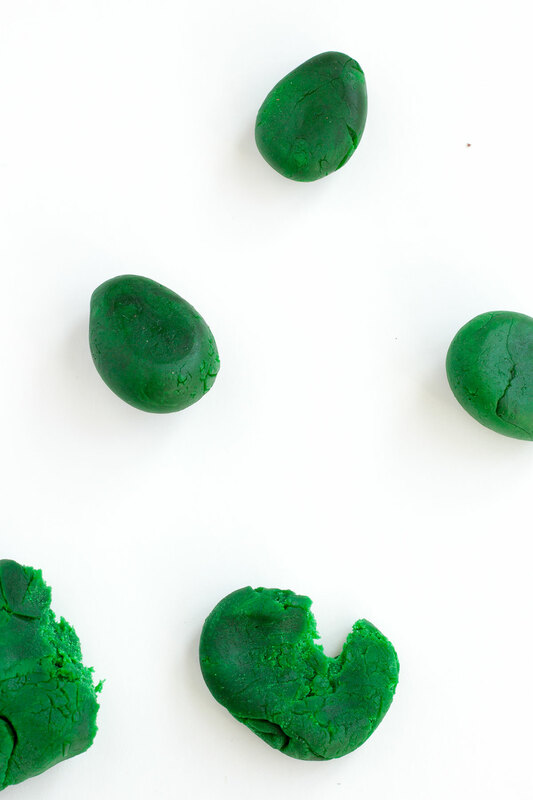 These minis are molded from Wilton’s edible clay. 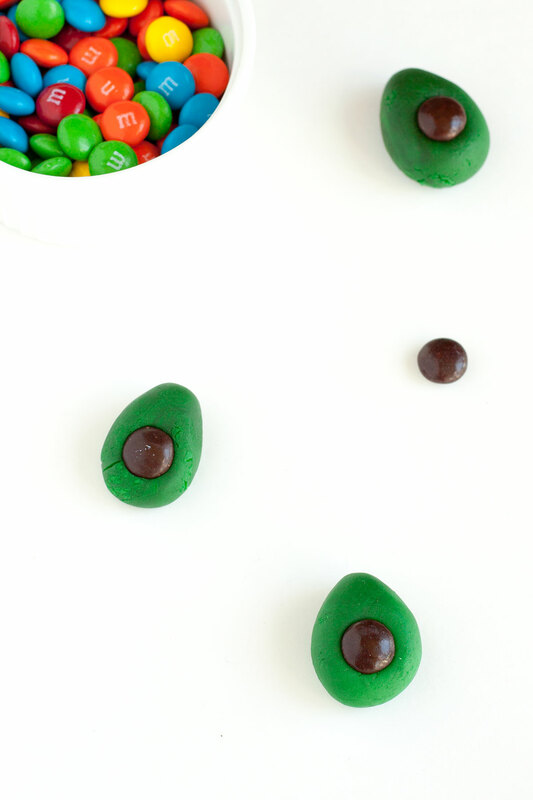 They’re super easy to make and add the cutest final touch to homemade cupcakes. Gather materials. Heat edible clay in the microwave for 20 seconds to soften. 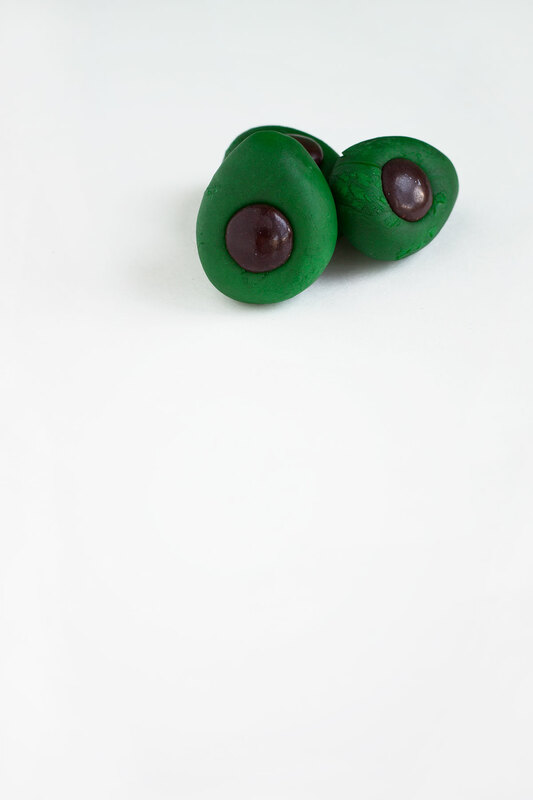 Mold clay into avocado shape by rolling it in the palms of your hands. 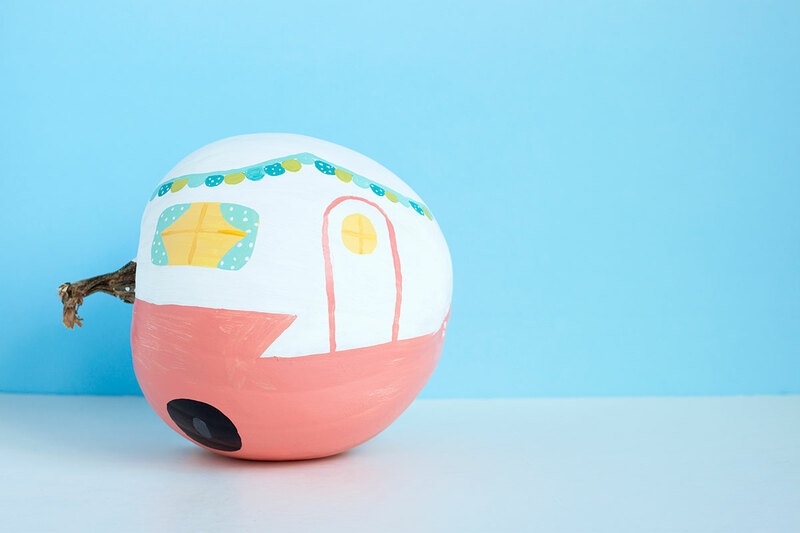 If clay is dry, sprinkle a little water onto it and smooth cracks. 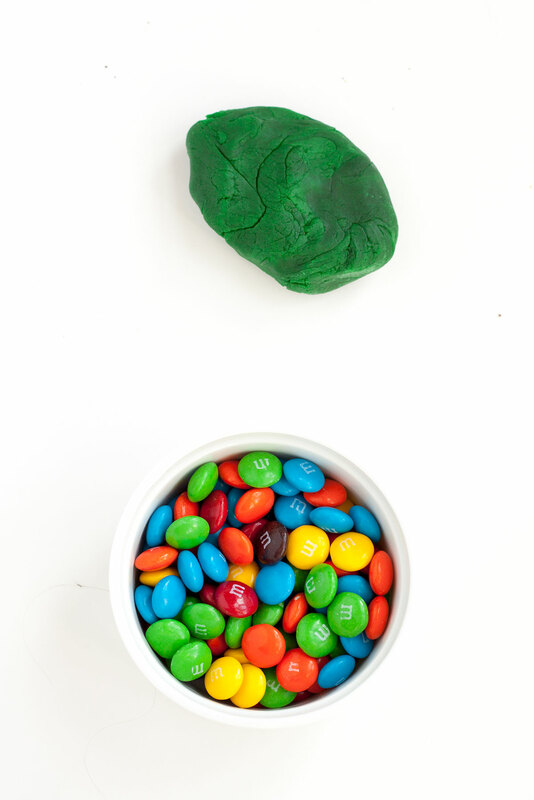 Once you’ve created the main shape, place a brown M&M in the center for the pit. Top cupcakes and enjoy! Good morning! 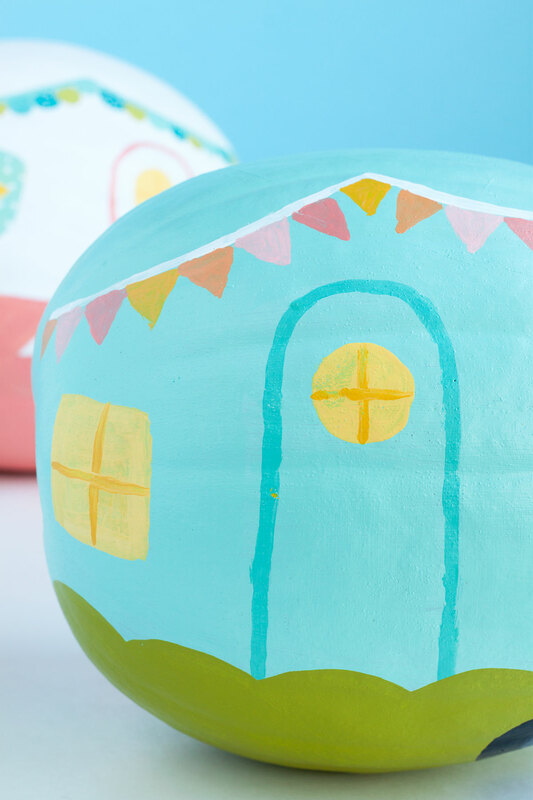 I was so excited to share this DIY with you today, I could barely sleep. 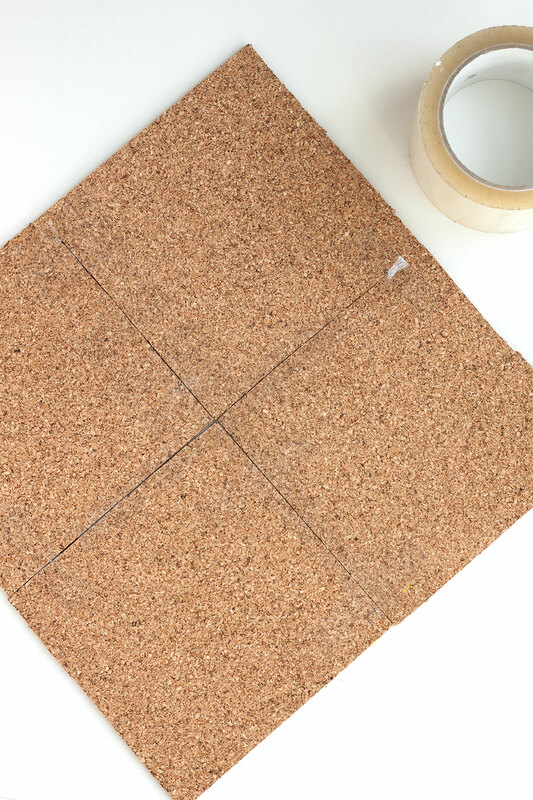 Since last year’s Donut Bulletin Boards were so popular, I decided to come up with another corky idea. 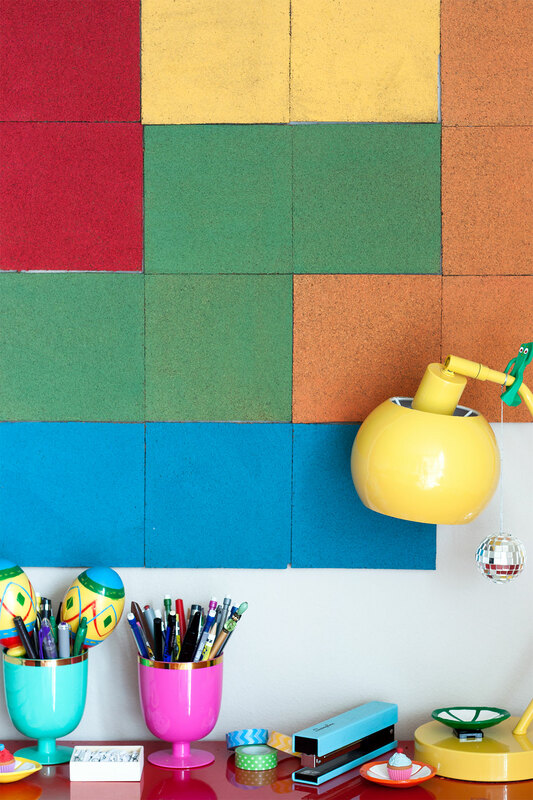 Introducing, Tetris Bulletin Boards! 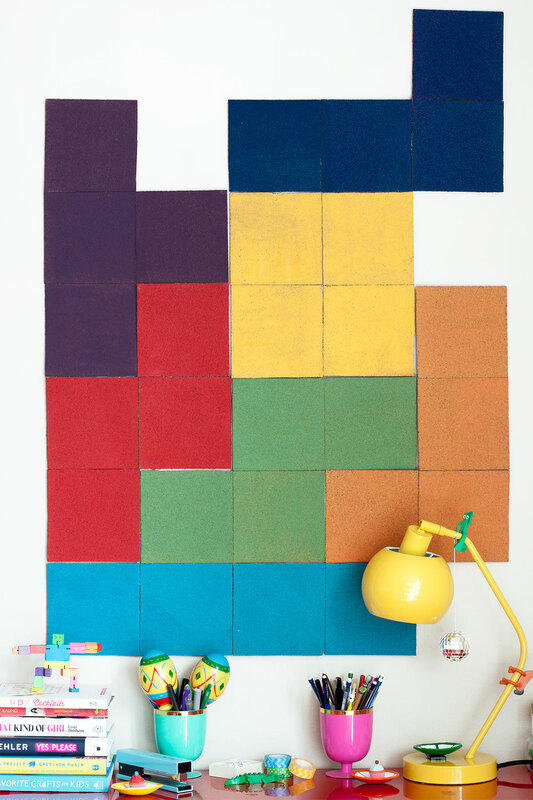 Whether you’re a fan of the game or not you’ll love having these color-blocked squares on your wall. The best part is that they’re all separate pieces so you can change things up when you get bored. 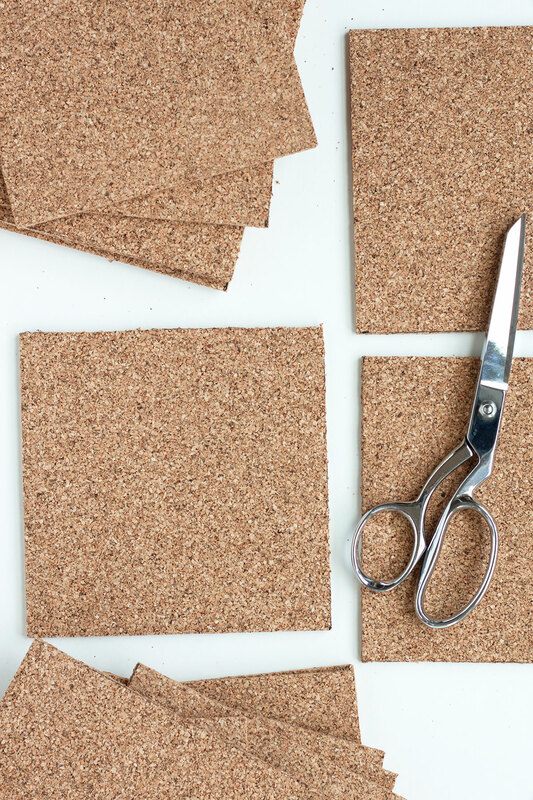 If you have a giant blank wall somewhere near your desk, you could make dozens and have them dropping from the ceiling like in the game! That would be awesome! Ready? Let's play. Gather materials. Cut each tile into 4 even squares. 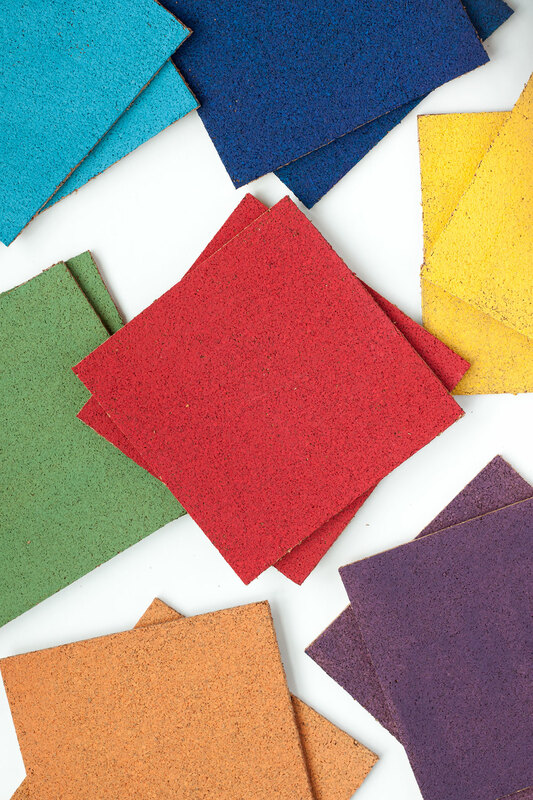 In sets of 4, paint squares red, orange, yellow, green, light blue, royal blue and purple. Let dry completely. 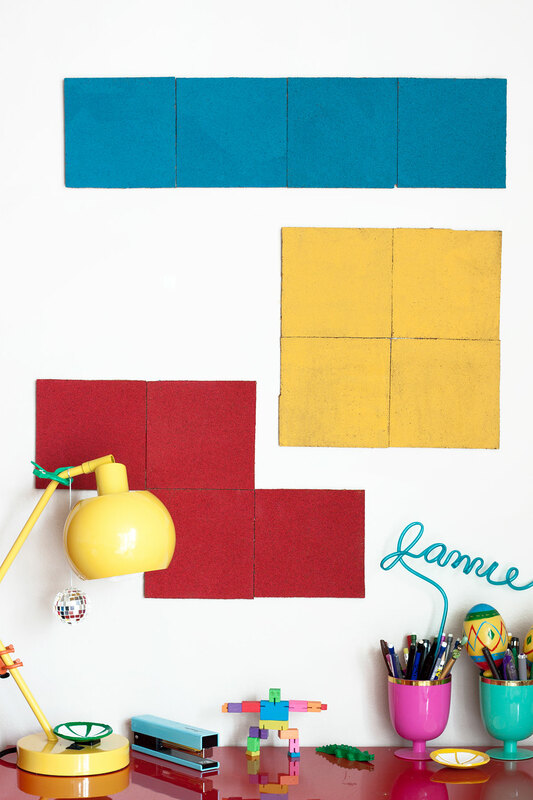 Shape painted squares into Tetris pieces and tape together. 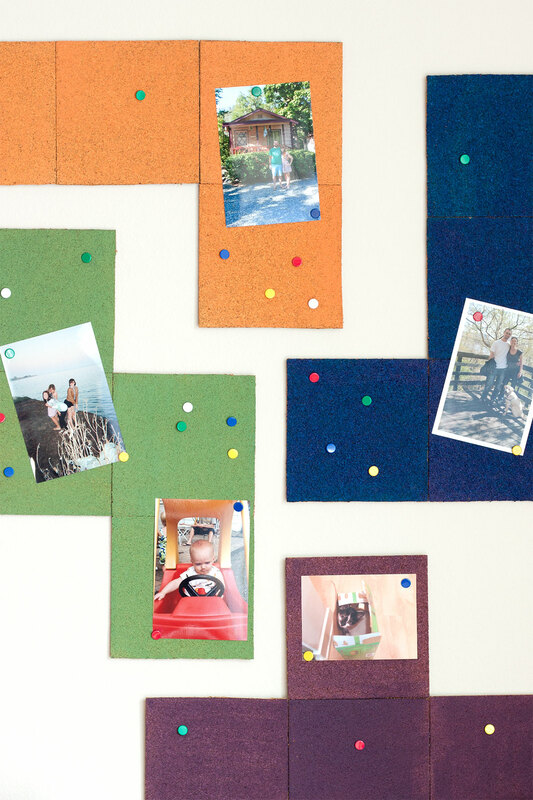 Attach pieces to the wall. Enjoy!